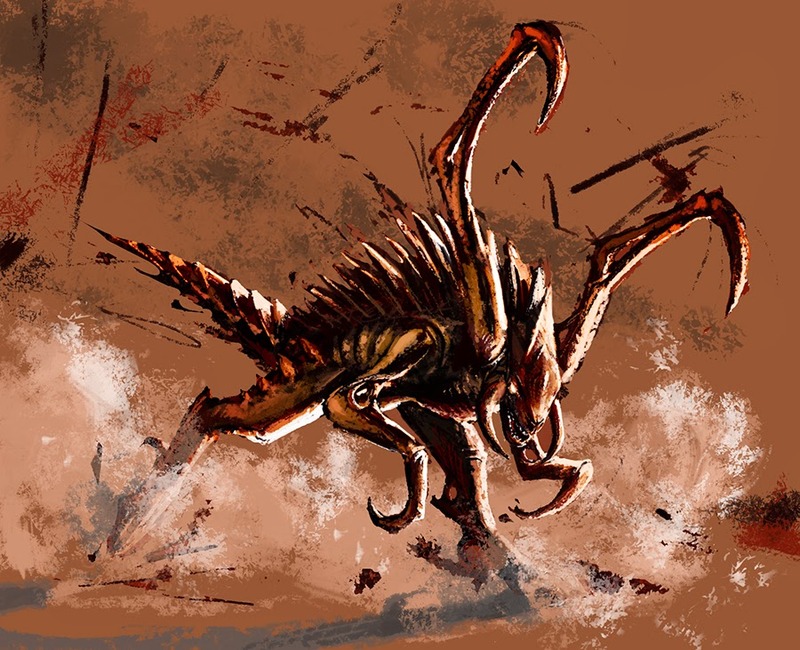 Zerglings are physically adaptable creatures, able to climb near vertical surfaces (90%) and are extraordinarily fast, though they are generally easy to exterminate. Usually, zergling eyes are orange, though some have been observed to be red. Such is their ability to see in low light conditions (infravision out to 120 ft.), these eyes can appear pure black (courtesy of the expanding pupils to allow more light to the retina). Zerglings form the most numerous of the zerg mutations—their simple DNA (distilled from the dune runners' genetic code to its most simple form), allows two zerglings to be spawned from a single larva. The larvae get the genetic information from the 'primordial ooze' of spawning pools. Zergling replication is so efficient that they thrive even when exposed to exceedingly high mortality rates, which are greater than almost all other zerg strains.